"bunch of crazy white people... ": 39. 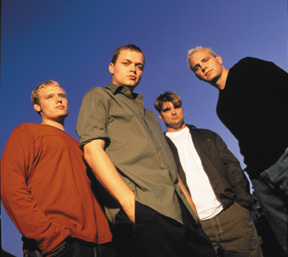 Three Doors Down, "Kryptonite"
39. Three Doors Down, "Kryptonite"
Everybody's gloomy and grey except for the drummer, who won't stop playing the Van Halen diddybop beat, forcing the others to actually throw their weight around, and make their male anxieties shuffle. Sadly, he'd learn to blend in with the earnest slog on subsequent singles.